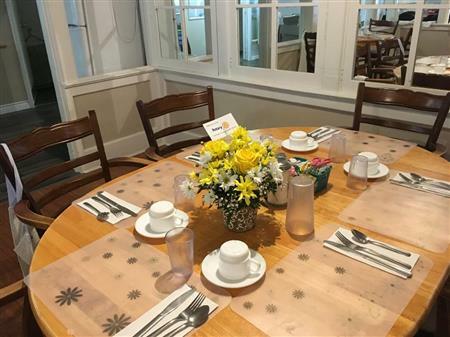 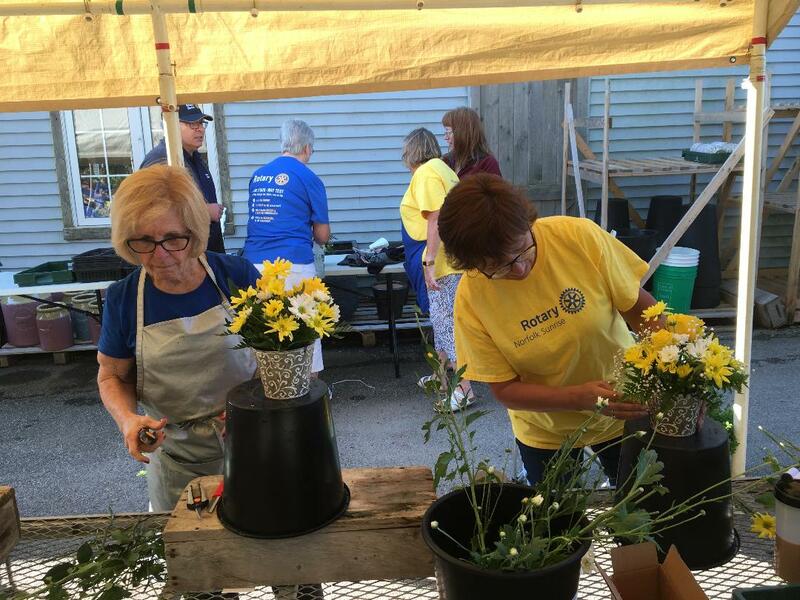 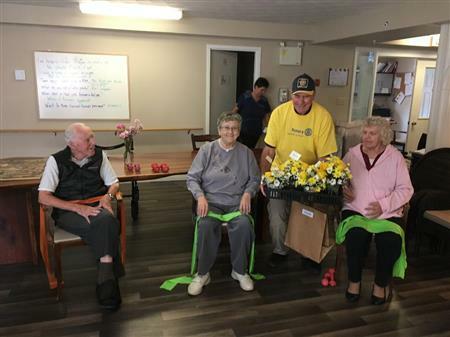 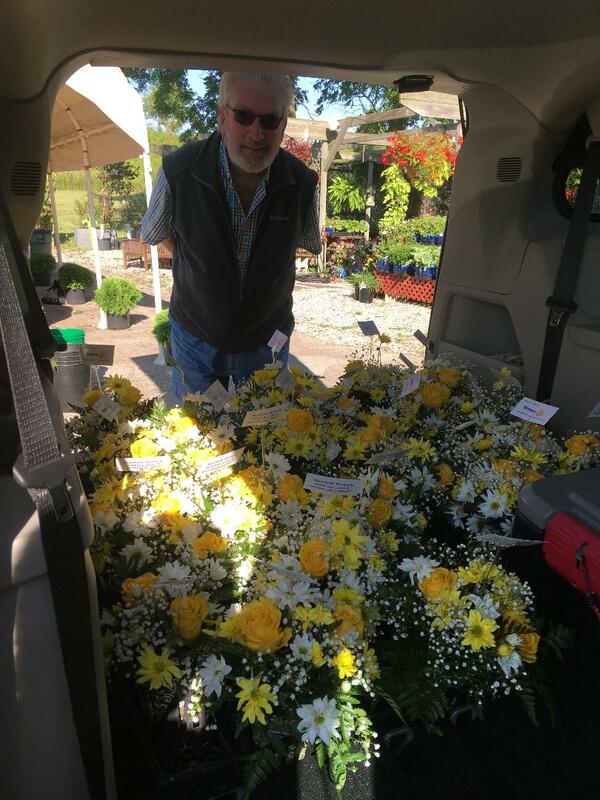 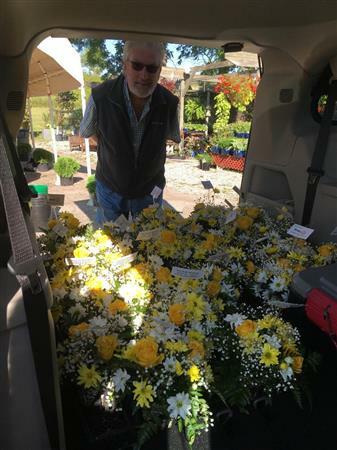 On August 23rd 2018 the 4 Rotary Clubs in Norfolk County, Ontario, Simcoe, Delhi, Norfolk Sunrise and Norfolk Rotaract) held a joint work party to assemble and distribute floral arrangements to all Norfolk County Nursing Homes. 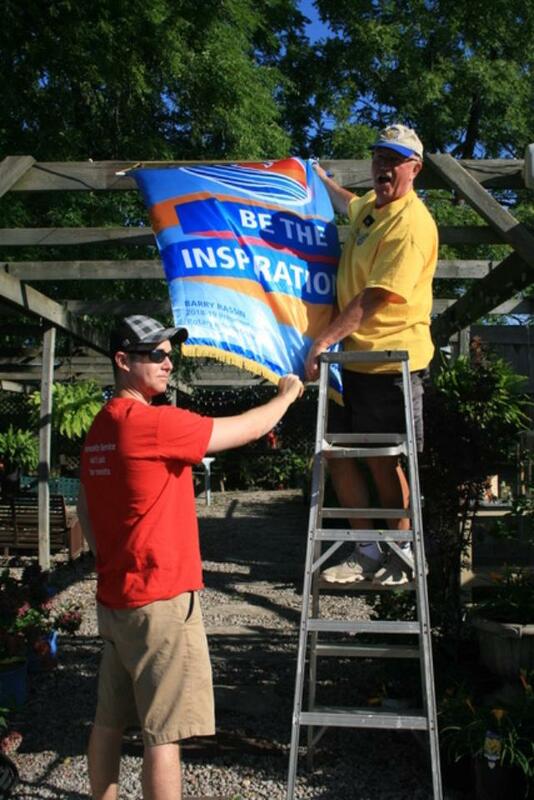 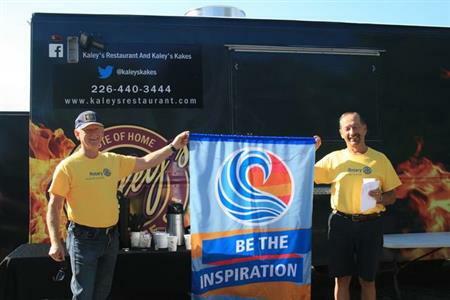 It was held at King's Garden Centre near Simcoe. 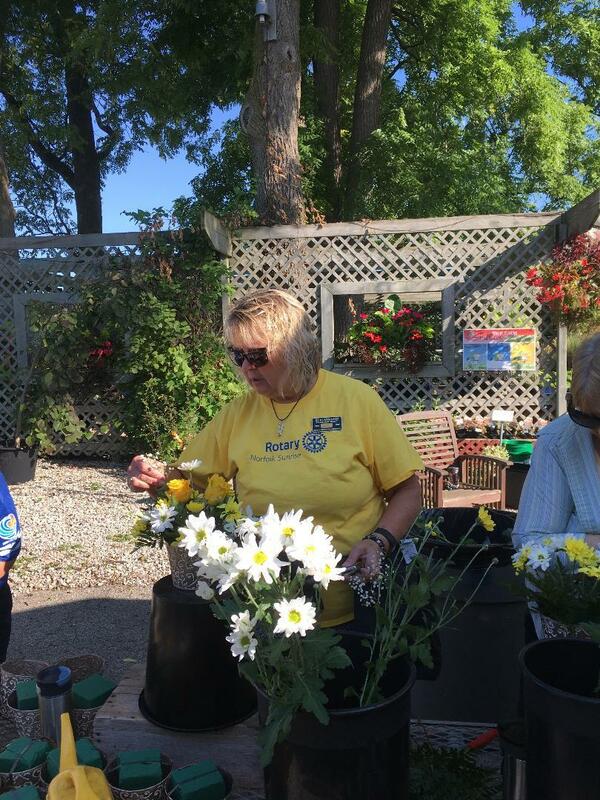 District Governor Melisa Schrock participated throughout the day. 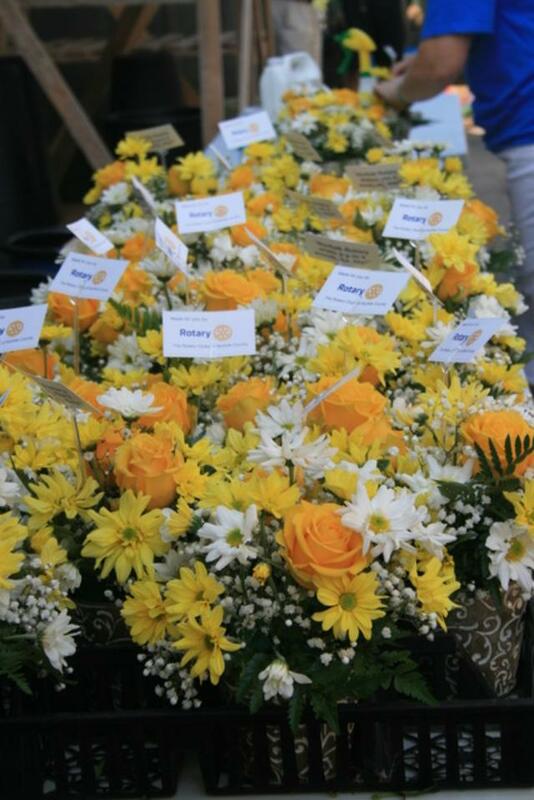 180 arrangements were assembled and delivered. The event culminated with a dinner and fellowship.